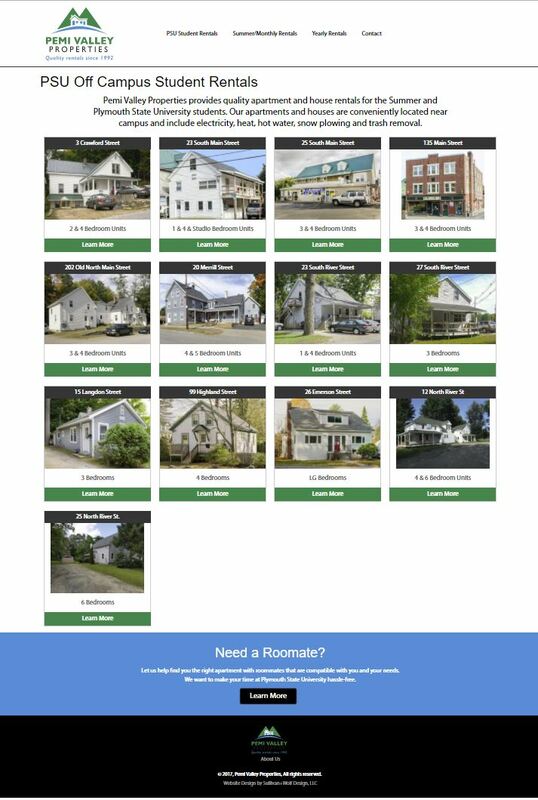 Pemi Valley Properties provides off-campus rentals to Plymouth State Univercity students, as well as Summer and Year-round rentals for non-students. This site replaces the original website we did in 2009. It features an admin section with a Property Mamangement System which allows for adding and editing properties, and units, adding and deleting photos, property and unit amenties, and more. The website also features very interactive registration forms. Its design is simple, built with Responsive Web Design, that allows prospective customers an easy way to find quality housing.